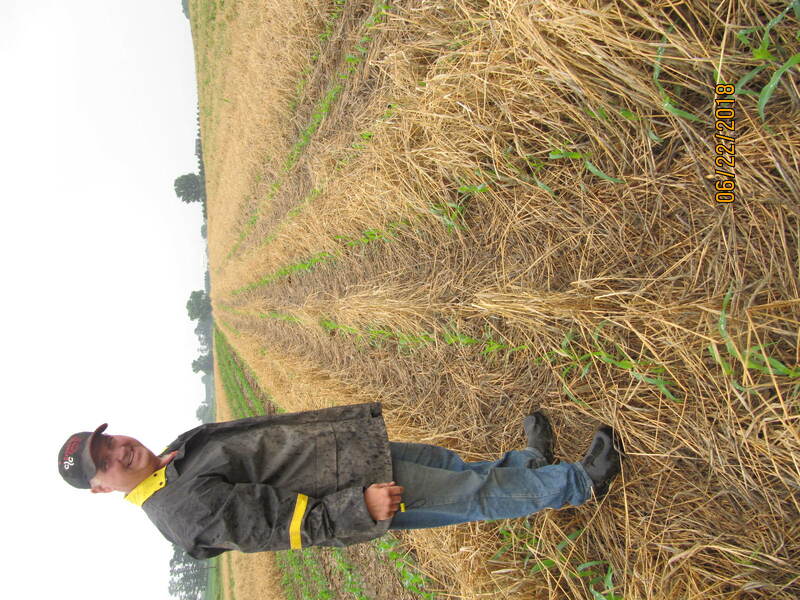 When Waukon farmer Mark Stock forgot to turn half of his cover crop seeding drill back on last fall while starting a new row, he inadvertently began an experiment that he believes will pay dividends into the future. What Stock didn’t realize is what his experiment would show him. He chopped some of the rye for ryelage this spring for his beef herd, and he planted corn into live rye at about 12” tall on the rest. He sprayed for termination a week later. The result was nearly perfect weed suppression in his rye strips and a definite weed issue in the strips without rye. 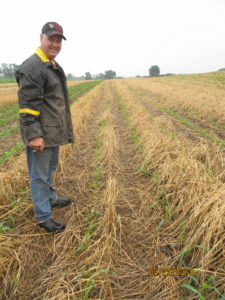 In addition to weed suppression, Stock said he had virtually no erosion on the cereal rye areas. 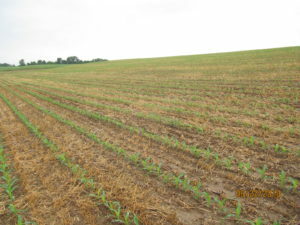 “This spring we had terrible rains and I can see rills in fields all over the county, but where I have the rye there was no soil movement,” he said. In addition, Stock said he had perfect erosion control on the areas that he chopped. 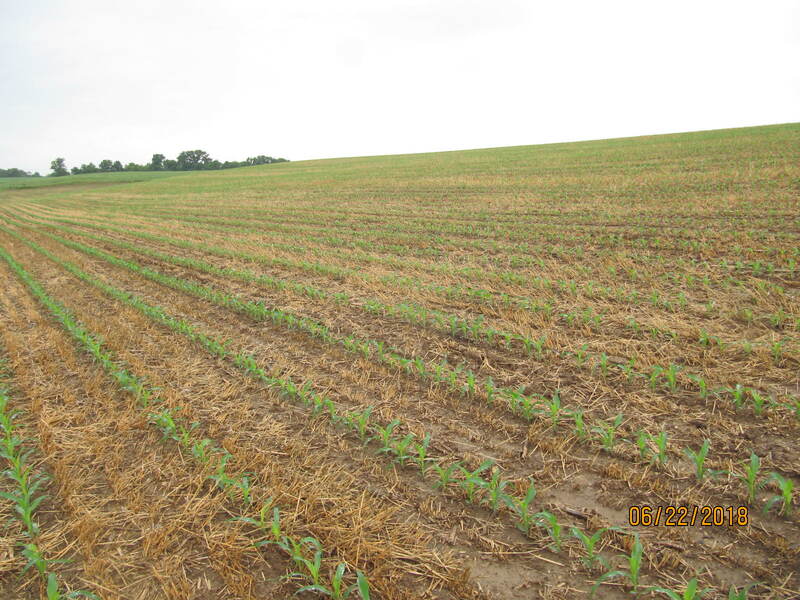 “I have reduced my fertilizer inputs by about 30# based on what I think the rye captured, but it’s hard to put a dollar figure on the erosion that didn’t occur,” he said. He says he is sure the combination of cattle feed that he chopped, the fertilizer reduction, the potential to reduce spray, and the soil savings all add up to huge savings over not using a cover crop. “I will never not use a cover crop again!” Stock said. In the future, Stocks says he plans to experiment with a V5 cover crop planting into growing corn. 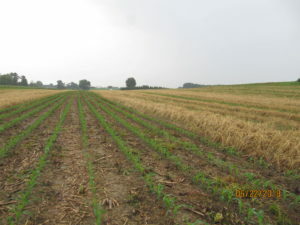 He has modified an old drill to plant between the corn rows and is looking to try several varieties including cereal rye, rye grass, and possibly radishes. 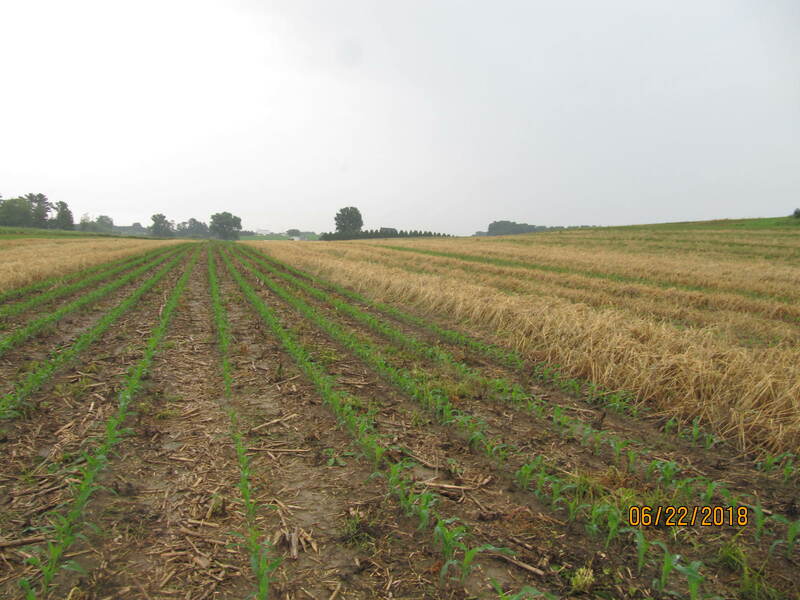 “I see an opportunity for soil savings and soil health improvement to be almost endless with cover crops,” he said.